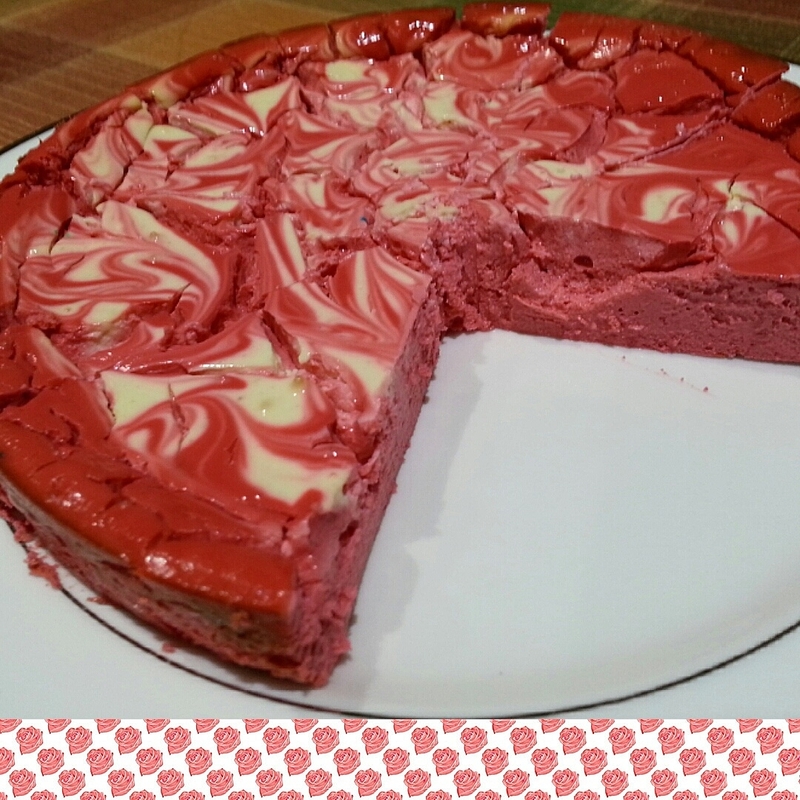 What gets better than red velvet + cheesecake? Blend 12 oz FF cream cheese, 280 grams of FF Greek Yogurt, 1 scoop of protein powder, 8 packets of stevia, 1/3 cup of almond milk, and 2 eggs. For marbling effect, I took some of the batter aside...like 1/4 of it and left it white. The other 3/4 mixture, I added a red velvet emulsion for Leann's emulsions. Then pour the red velvet mixture first, then the white mixture on top and swirl with a chopstick or something. Bake at 250 degrees for 20 min, then 350 for 20 min, and another 20 minutes at 250. Voila!